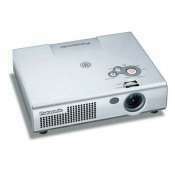 This Panasonic PT-LM2U LCD projector comes loaded with many great features and at a great price. It is compatible with Mac or PC, very portable and includes a remote control. Great for slideshows, presentations, weddings, backyard movie nights, birthday parties, and other celebrations. Image ratio is 4:3, contrast ratio is 4:1, and supports many HDTV formats. 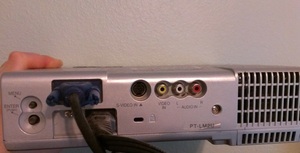 It includes RCA, S-video, and VGA inputs. I also have a DVI to VGA converter, so you can connect DVI video output also. Please contact me with any other specific questions.